A few years ago, I had the opportunity to take a strengths assessment test called StrengthsFinder, which provided me with five themes, and what stood out within each of those themes (more on my results later). In the follow up to taking this assessment, I learned that we’re all inclined to want to focus on areas of weakness and how to improve them. 61% of people believe that we grow most in areas of greatest weakness [statistics and themes are from a session with Alycia Sutor, of then Akina Corporation, now GrowthPlay]. If content is king, what happens when you get writers’ block? You are staring at a blank white screen on your computer, your hands poised nervously over the computer keyboard (or if you are old school, the 8”x14” yellow legal pad with a pen in your hands) waiting for some inspiration to hit you. 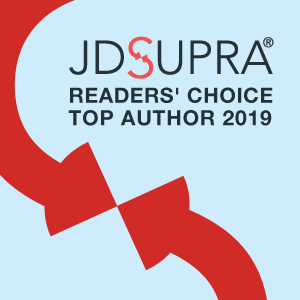 We also have two ILN member recognized – Patricia Wagner and E. John Steren of Epstein Becker & Green were recognized as top authors in Antitrust & Trade Regulation. But for many of us, that is unfortunately not one of our strengths. I’m a prime example of that. Raise your hand if you’ve ever been speaking with someone, only to have the conversation taper off and leave you standing there wracking your brain to come up with something to say?